An upcoming iOS update will give users a new option. In an interview with ABC News to tout Apple’s new jobs strategy, second U.S. campus, and repatriation of some $250 billion in overseas cash, Tim Cook also spoke for the first time about the iPhone battery issue, offering an apology, a little blame, and an upcoming fix. Even if you were paying attention, the statement doesn’t exactly come out and say chip speeds are being reduced. In its release notes, Apple simply stated the update “includes bug fixes and improves the security of your iPhone or iPad.” So, if there was something Apple told us about performance throttling, we can’t find it. That means we’ll be able to see an approximation of the health of our battery inside the Settings tab and get a new toggle that will let us turn off the throttling if we so desire. Apple is currently on the sixth round of betas in its testing of iOS 11.2.5, but it’s unclear whether the battery changes will be part of this update or the next one. However, if you’re hoping for an iPhone X that doesn’t cost $1,000, Cook throws a big old bucket of cold water on that idea: The phone costs what the innovation inside costs, he said, and we believe it’s the right price. The impact on you at home: No matter how you slice it, this is great news for iPhone users. 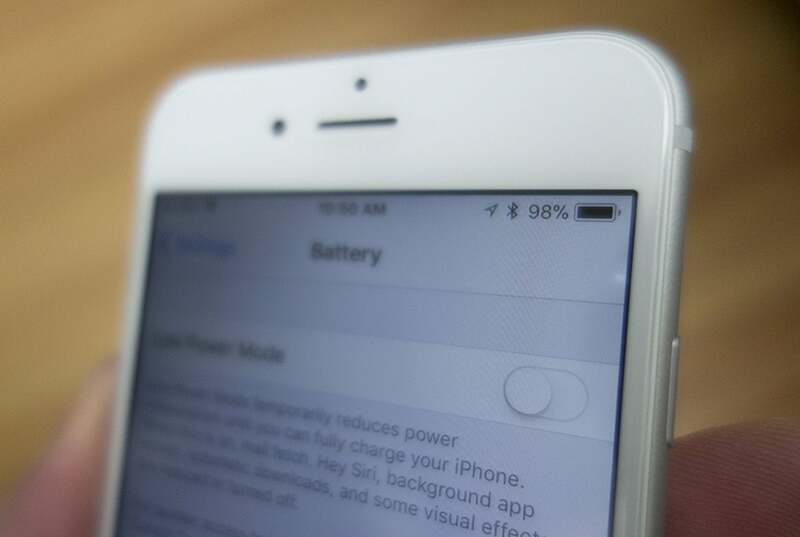 Even if you’re not affected by the slowdown, have a new battery, or just bought an iPhone X, this issue is bound to spring up at some point. Transparency and options are never a bad thing, and both the health monitor and the throttling toggle are excellent additions. Here’s hoping that Apple continues to give users control over iOS so they can get they experience they want, not necessarily the one Apple things is best.